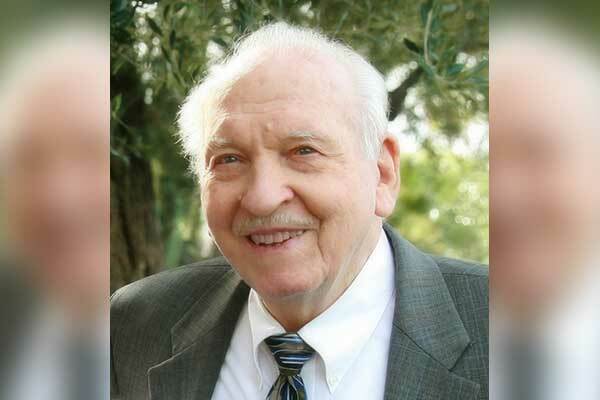 THATCHER, Ariz. — Dr. Dean A. Curtis, a former president and alumnus of Eastern Arizona College whose leadership stemmed tremendous growth, passed away on Monday, July 9, 2018. He was 96 years old. As president from 1965 to 1976, Curtis’ scholarship and sense of diplomacy helped him navigate some of the most challenging changes in EAC’s history. At the beginning of Curtis’ presidency, a seemingly simple, yet profound, decision was made to drop the word “Junior” from EAC’s official name. Prior to this decision, EAC had been renamed ten different times, but this change created a strong and lasting foundation for a brand identity that exists today. In response to greater competition from new community colleges being built in Pima and Pinal counties, Curtis added more courses in liberal arts and sciences, enlarged the library, and hired faculty to teach vocational, technical, science, and engineering courses. In 1967, Curtis announced that a new Vocational-Technical Building would be built to train students in “high-tech” careers. This building housed EAC’s first automotive technology lab, which was rated number six in the nation by the Ford Motor Company. Today, this building is named the William J. Bone Industrial Education Center and houses EAC programs for CADD and Drafting and Media Communications, the Automotive, Machine and Welding shops, and the new FabLab Industrial Technology Center. In 1966, Curtis created an alumni organization that still exists today. This organization, the EAC Alumni Association/EAC Foundation, organizes reunions, serves as a clearinghouse for College benefactors, and builds scholarships for students who may not otherwise be able to attend college. To achieve his goal of providing equal education and expanding EAC’s influence, Curtis developed skill-building classes for the Fort Grant Educational Project at the Arizona State Industrial School. Inmates were offered instruction in welding, automotive mechanics, automotive machine shop, sheet metal work, collision repair, heavy duty mechanics, dairy science, shoe repair, printing, drafting, and service station operations. In 1969, Curtis developed a two-year curriculum in mining technology as well as EAC’s first nursing program. Courses were constantly being added ranging from agricultural economics to wildlife conservation, and new faculty and staff were recruited to teach and oversee EAC’s curriculum. Curtis’ legacy project came to fruition in 1970 when ground was broken for EAC’s Auditorium and Fine Arts Center. In addition to funding received from Graham County, the State of Arizona and the Higher Educational Facilities Act, Curtis and his secretary, Ruby Stinson, led a donation drive that raised more than enough to meet a $50,000 match challenge from an alumnus donation. On August 28, 1972, under Curtis’ direction, the “crown jewel” of EAC’s campus was dedicated and has housed community events ever since. In 1972, Curtis worked with Senator Barry Goldwater and Congressman John Rhodes to deed the Gila Pueblo to the State Board of Directors of Community Colleges of Arizona for EAC’s Gila County educational program. Within three years of its inception, 319 full-time and 1,128 part-time students were enrolled at this campus. Under Curtis’ eleven-year administration at EAC, enrollment grew from less than 800 to 5,000 students and the administrative budget increased from $846,210 to $2.8 million. To accommodate this exceptional growth and innovation, Curtis oversaw the expansion of EAC’s infrastructure, including the aforementioned Vocational Technical Building and Fine Arts Center, as well as the handball courts, the swimming pool, the Learning Resource Center, and a physical layout that connected north and south campuses. 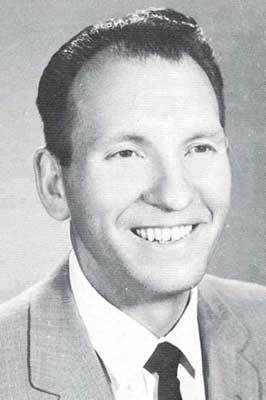 Dean Curtis was born, raised and educated in Thatcher, graduating from Thatcher High School and Gila Junior College. He is the son of Cleveland and Eunice Nelson Curtis, who were both prominent citizens of Thatcher and the Gila Valley. At Gila Junior College, Curtis participated in the civilian pilot training program and received his pilot’s license. After graduation from Gila Junior College in 1943, he enlisted in the U.S. Air Force and served his country as a pilot during World War II. After the war, Curtis helped his father at the family automobile business, Curtis Motors. He received his bachelor’s degree at Brigham Young University and completed his graduate work at Stanford University. Curtis is survived by his wife of 73 years, Phyllis Jones Curtis, sons Ken, Ron, and Tom, daughters Janis Gulledge and Deanna Cooley, and brothers Kay and Phil. He is preceded in death by his parents, sisters Maurine and Clara, brothers Carl, Bruce, Alden, Gary, grandson Jeremy Curtis, and great-grandson Stephen Curtis. Funeral services will be held at the Thatcher LDS Church Street Chapel on Saturday, July 14, at 10 a.m. with a viewing at 9 a.m.